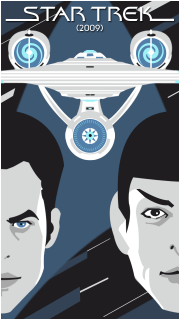 By my early 30s, I was fully prepared to accept that the box office failure of Star Trek: Nemesis in 2002 and the cancellation of Star Trek: Enterprise in 2005 represented the end of Star Trek as I had known and grown up with it. From the time I first discovered this grand saga at the tender age of 5 upon TMP’s 1979 release to the airing of the less-than-stellar finale of ENT, “These Are The Voyages…” in 2005 (when I was 31), I felt that I had absorbed enough stories within this saga to last me a lifetime. While I was sure that the franchise would be reinvented one day (just as Battlestar Galactica, 007 and Batman had), I knew even then that it would be a Star Trek adventure for a new generation, not for me. My Star Trek was over, and I was perfectly okay with that. When I first heard the news that a Star Trek reboot film was happening in 2006 that would pit Leonard Nimoy’s classic Spock character with a new and younger version of the now-classic cast played by all-new actors, my initial thought was “good idea, bad timing.” It had only been a year since ENT had been cancelled at that point and I felt that Paramount should have waited at least 10 years for a new generation to come of age to whom these characters would be new to. Moreover, I wasn’t sure that having Leonard Nimoy- or any previous cast member for that matter- had any business appearing in a reboot film that was designed to appeal to a new generation for whom Star Trek would be new and this new film would be their introduction to the Star Trek premise just as TMP was for me. By the time I had seen the trailers for the film in 2008 though, I was willing to give it a chance. It was still Star Trek after all and I was even willing to entertain the thought that this film might actually improve on the story in some ways depending upon what it was about and what they did. I have to admit that I have been putting off writing this review for some time. I have not been looking forward to it. 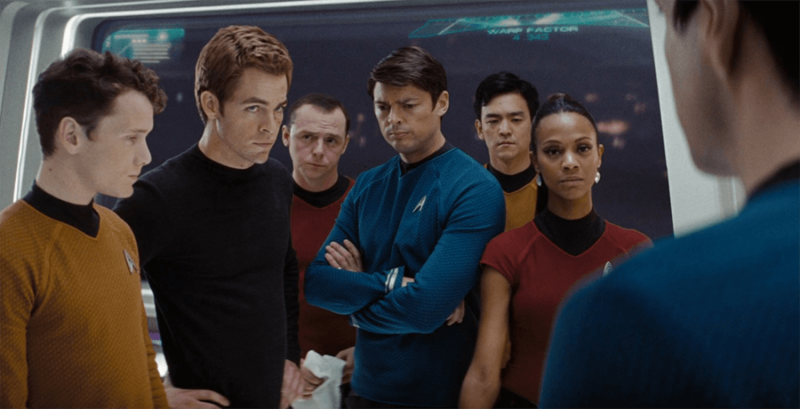 There are a great many divisive feelings within fandom over J.J. Abrams’ interpretation of Trek in general and this film is, quite frankly, an eyesore for many longtime fans- myself included. I cannot write this in the same spirit that went into my reviews of the first ten films nor my reviews of the independently produced Indie Trek web episodes that have blown me away with their imagination and backyard-budgeting ingenuity. For the considerable money that went into this production, we got something that works on a visceral level of kinetic excitement but lacks the Trek spirit. This is a very good Hollywood movie, but it is a poor Star Trek film. The story begins on board a newly-seen ship, the U.S.S. Kelvin, investigating a disturbance of some kind. A strange looking immediately opens fire and the captain is told to come aboard immediately, leaving command to one Commander George Kirk (Chris Hemsworth.) The strange ship is manned by Romulans looking for Ambassador Spock (Leonard Nimoy, whom we last saw in TNG’s “Unification”), whom the Kelvin’s captain has not heard of. The stardate is asked and when the captain reveals it is the year 2233, the Romulan commander, Nero (Eric Bana) is incensed. He kills the captain immediately and fires to destroy the Kelvin. Kirk is left no choice but an immediate evacuation, which includes his pregnant and laboring wife. 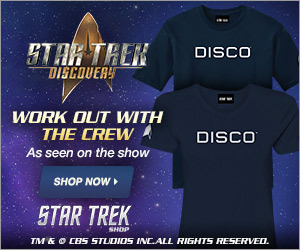 Kirk must stay behind with the ship, however, as computer control is offline. In an emotionally charged scene, Kirk plots a suicide course that will cripple Nero’s ship long enough for the Kelvin’s survivors to get away, hears the cries of his baby boy, James Tiberius, over the intercom and proclaims his love for his wife and son as he crashes into his fate. Thus, James T. Kirk, the heroic icon we had lost 15 years earlier in 1994’s Star Trek: Generations has now been reincarnated and a new generation of viewers can experience a potentially compelling new version of the adventures of Captain Kirk and the U.S.S. Enterprise. Don’t even get me started on the hand-held cinematography and the lens-flaring! That all by itself nearly renders this film unwatchable. I really wish I could be more positive about this film. 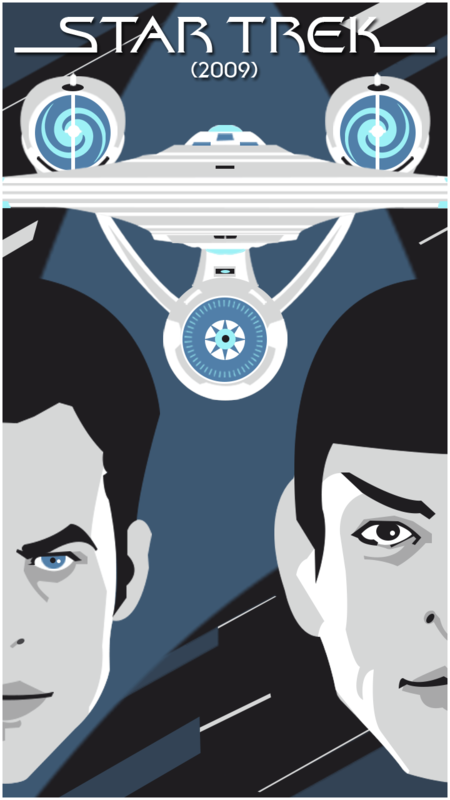 At the time of its release, I thought that a reboot through an alternate reality with Nimoy’s Spock seeing off the new cast was a great way to go. But I actually liked the new cast well enough that by the time Leonard Nimoy had actually showed up, I felt that his presence wasn’t really necessary. I was beginning to feel even them that this cast deserved a better intro than they were getting. I still feel that they should be allowed to fly free on their own with a much better-written adventure, but every time Star Trek makes a dud we always hope for better, even at this writing 9 years later, time will still tell. 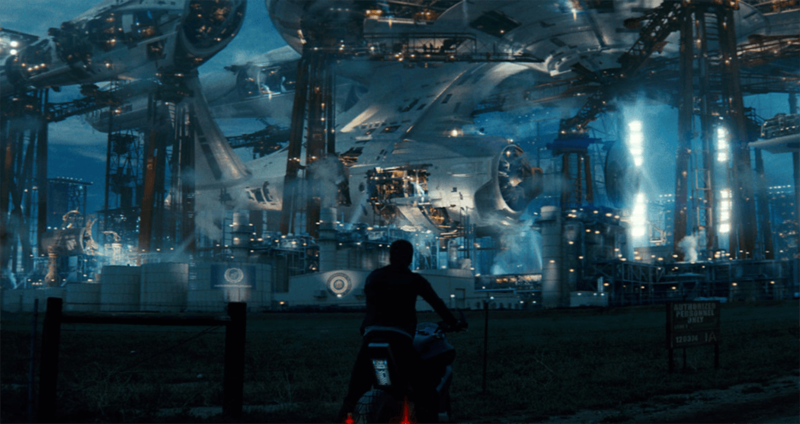 J.J. Abrams may be a talented director who can do exciting sequences, but he is not the right man for Star Trek. He had stated in the publicity for the film that he wanted “to make a Star Trek movie that had the feel of a Star Wars movie.” Well, he did indeed accomplish that…and that’s the problem! On the old 1-to-10 scale, I can’t find it in my heart to rate this film any higher than a 5. It is a fast-paced and exciting piece, but science is treated as an inconvenience. 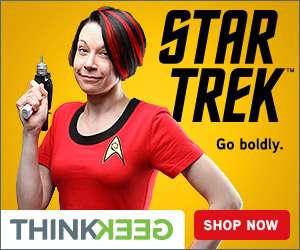 I’m sure Gene Roddenberry’s late friend and Trek fan Dr. Isaac Isimov would have rolled in his grave over that. The cast is the best thing this version of Trek has going for it, but these writers and the whole “Big Hollywood” mentality have to go! All I can say is…you’re right, it’s not.